There is a beauty in using a variable speed pump which allows you to have a say on the level of speed you want to use in your pool while saving on costs. 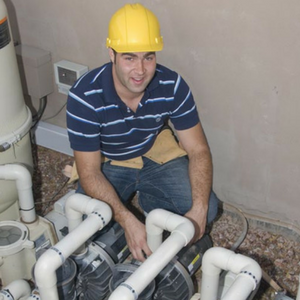 Variable speed pumps such as the Hayward SP3202VSP TriStar VS Variable-Speed Pool Pump can contribute as much as 90% on your total energy savings and such a pump makes for a great investment which will basically pay itself off. Have a look at the features that make this possible. This pump has been designed to come with a vast range of horsepower. Depending on your cleaning needs and the size of your pool, you can choose between a horsepower of 1 or 2. Whichever horsepower you choose will operate at a very high-performance rate to ensure that your pool stays clean and free from impurities. The setup process is quite simple and does not require much technical know-how. It can be installed in various methods, depending on your preference. You can use stand alone mode or you can use Hayward automation where you can make use of Omni Logic. You can also install it through the use of competitive control systems which you can then use to control cleanings through relay control systems. The motor is made of a permanent magnet and is operated in a manner that is similar to that used in hybrid cars to make its operation highly effective. Unlike most motors which rely on air vents for air circulation for the purposes of cooling during motor operation, this pump uses an enclosed fan. The enclosed fan not only contributes to very high energy savings for the pump but it also does away with the need for air inlets and this protects the motor from the entry of unwanted debris into the motor compartment as debris could lead to motor failure. The pump allows for full programming of the settings and as such, the pump can be controlled with ease. A digital interface is used to display speed and energy consumption which can be altered to meet your requirements. The interface can be mounted in varying positions to make it easy for you to read the screen. It is very demanding in terms of maintenance if your pump has a small basket for the collection of debris as this will definitely require often emptying. With this pump, you are free to extend your cleaning periods for long amounts of time as the basket is large enough to hold a lot of debris for a long period. 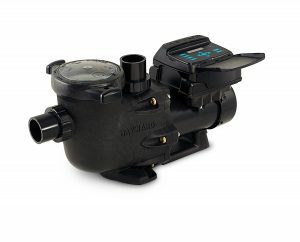 This pump operates with minimal noise as compared to traditional pumps.